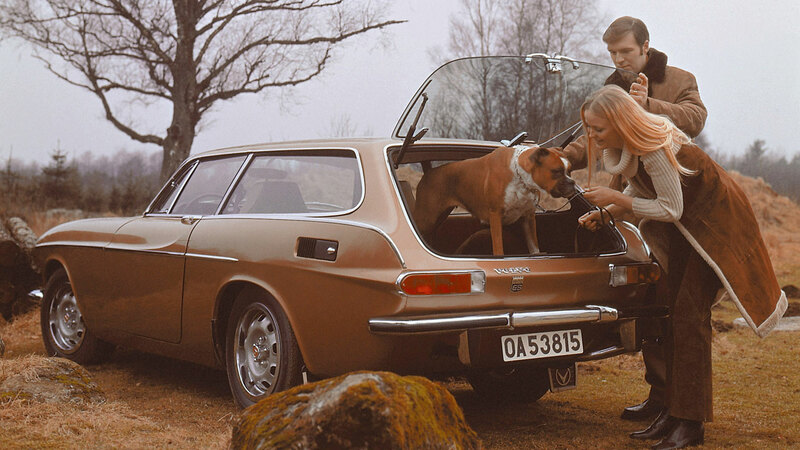 For many years, Volvo estate cars have been synonymous with green wellies, Labradors and the good life. Indeed, a 145 was the choice of wheels for Jerry and Margo in the hit BBC TV series, The Good Life. 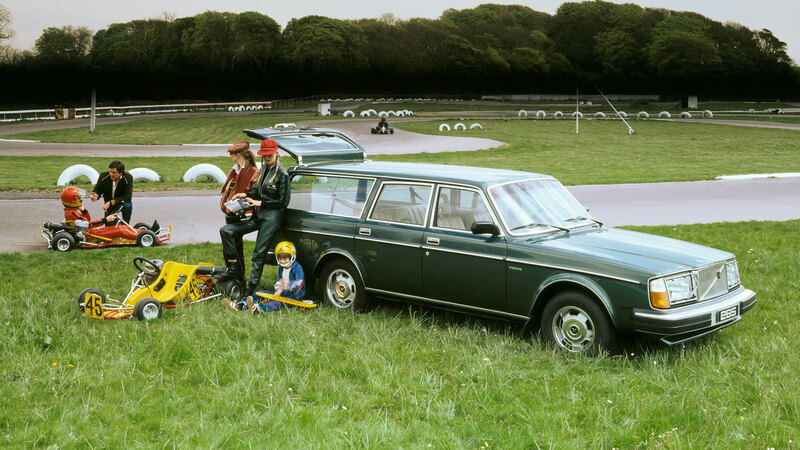 So, hot on the heels of the launch of the new V60 Cross Country, we take a nostalgic look back at a history of Volvo estates. From 1949 to 1953, the PV445 formed the basis for small lorries, vans and estate cars, all of which were available through independent coachbuilders. 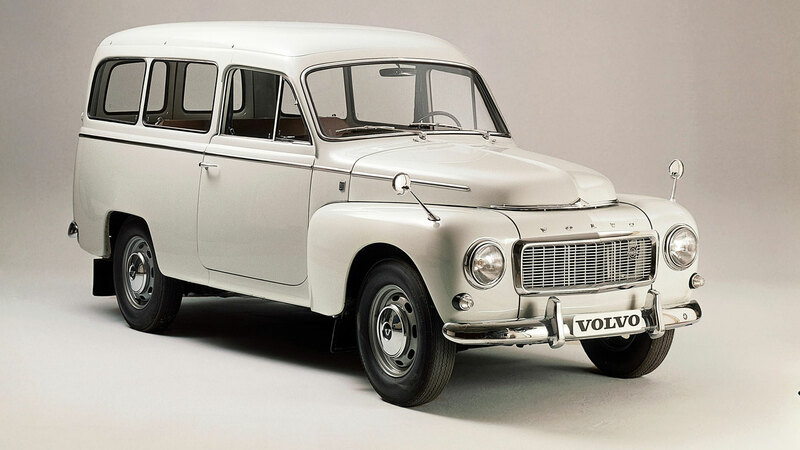 In 1953, the PV445 Duett was introduced – a car widely regarded as the godfather of all Volvo estates. 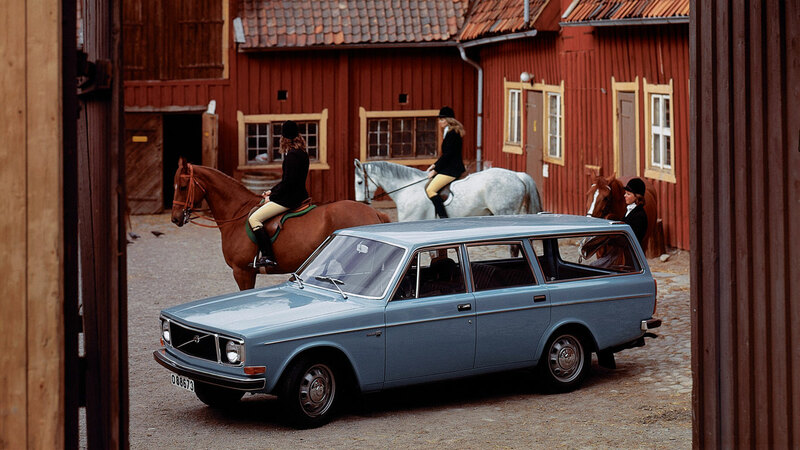 It was one of the first Volvos to be exported to the US and was even immortalised on its own Swedish postage stamp. 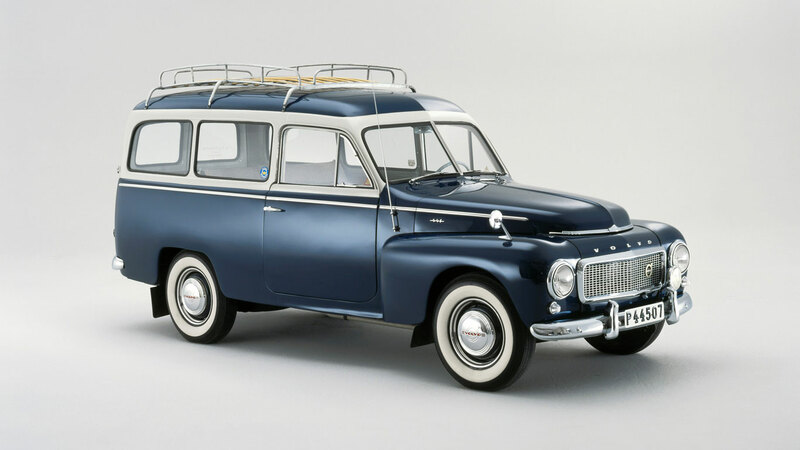 The P210 Duett was introduced in 1960 and was essentially a continuation of the PV445 Duett. Times were changing, and although the P210 was available as a van or estate, the popularity of coachbuilt special editions was in decline. 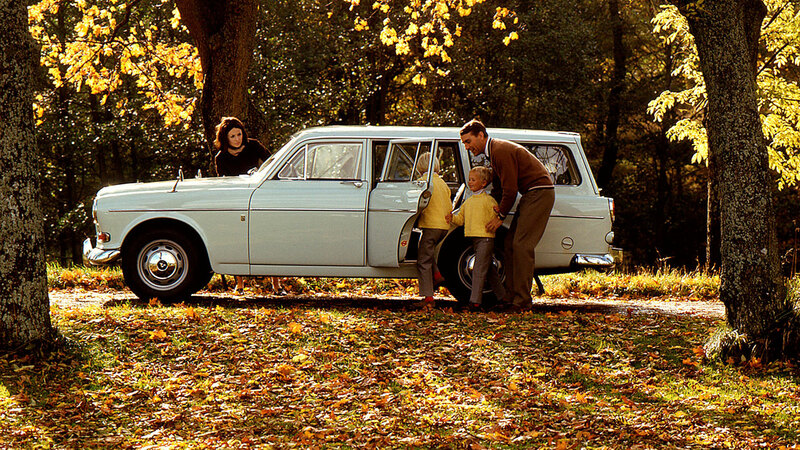 Production of the P210 continued until 1969, with sales focused on Nordic markets. 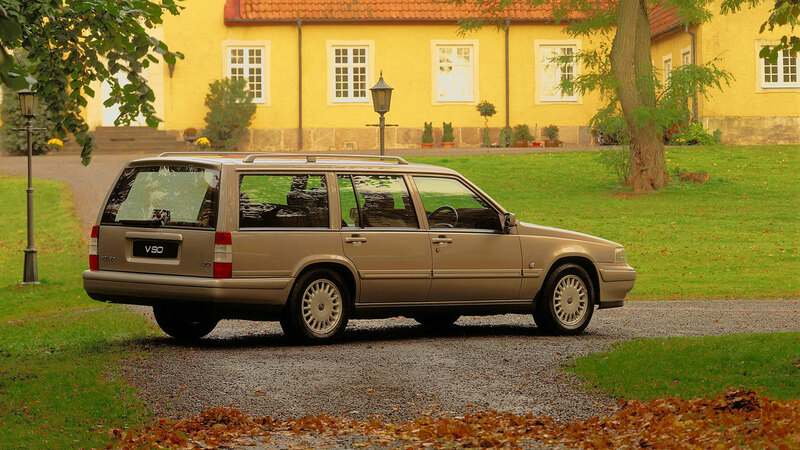 While the P210 enjoyed success in Nordic countries, the P220 – or Amazon – would become Volvo’s international bright young thing. Unlike Volvo estates of old, the Amazon wasn’t based on a delivery van and was more elegant as a result. It was practical, stylish and rather nice to drive. In 1967, Volvo launched the car that would lay the foundations for one of the most iconic shapes in the automotive world. 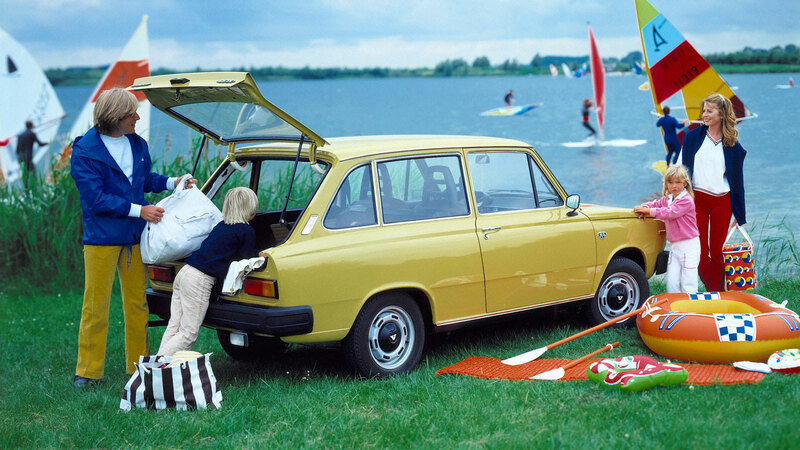 The 145 was the estate version of the 140 Series and featured a near-vertical tailgate. At launch, the 145 featured a split in the rearmost side window, but this disappeared in 1970. 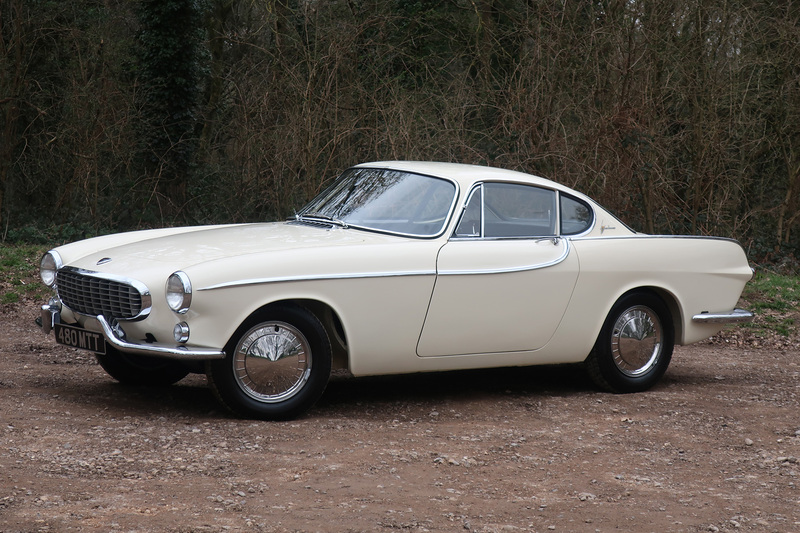 The 1800 ES was a shooting brake version of the beautiful P1800 coupe. It arrived in 1971 and featured an extended roofline and a profile reminiscent of an estate. Now, 1800 ownership was open to more people, with the ES offering four seats, a sizeable boot and decent levels of performance. Sadly, the 1800 ES died in 1973 – a victim of American safety legislation. Is this the archetypal Volvo estate car? Absolutely. Launched in 1974, the 245 would live on until 1993, by which time it had cemented itself as the favourite amongst soccer moms and the middle classes. In 1981, the 245 Turbo became one of the fastest estate cars in the world, and the first to be fitted with a turbocharged engine. 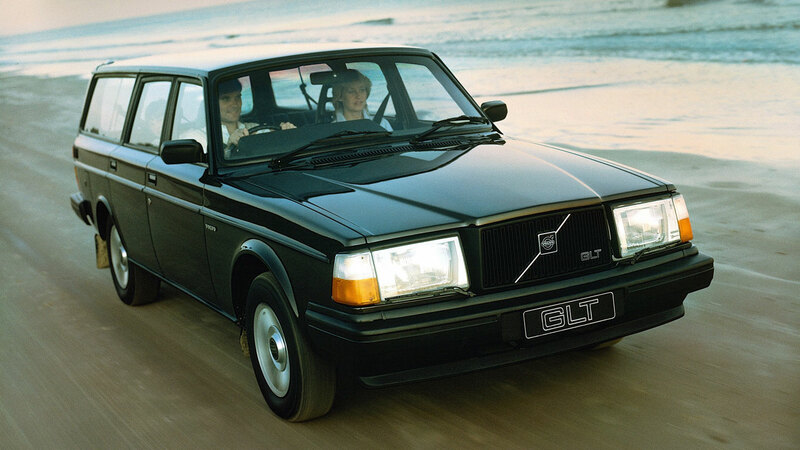 The Volvo 265 was the more upmarket version of the 245, fitted with a more powerful six-cylinder engine. It would enjoy a 10-year production life, offered with both 2.6- and 2.8-litre engines. In the mid-seventies, Volvo took total control of DAF Car BV, and the first car to benefit from the change in ownership was the DAF 66. In 1975, it became the Volvo 66, featuring rear-wheel-drive and the famous Variomatic continuously variable transmission (CVT). 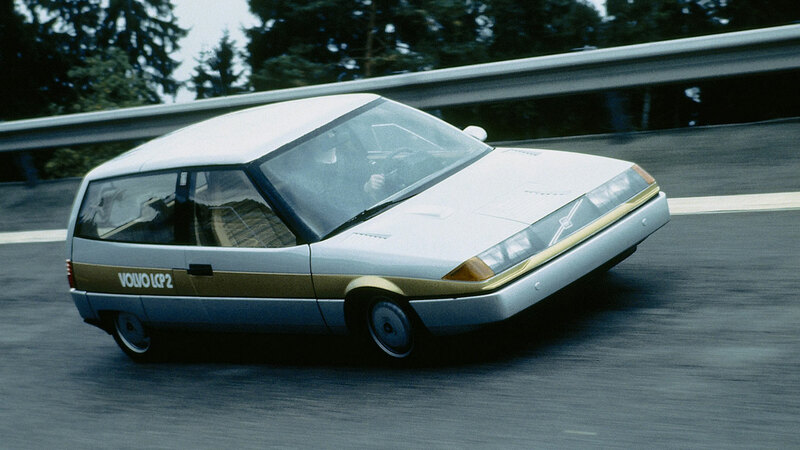 In 1980, Volvo launched its VCC experimental vehicle. 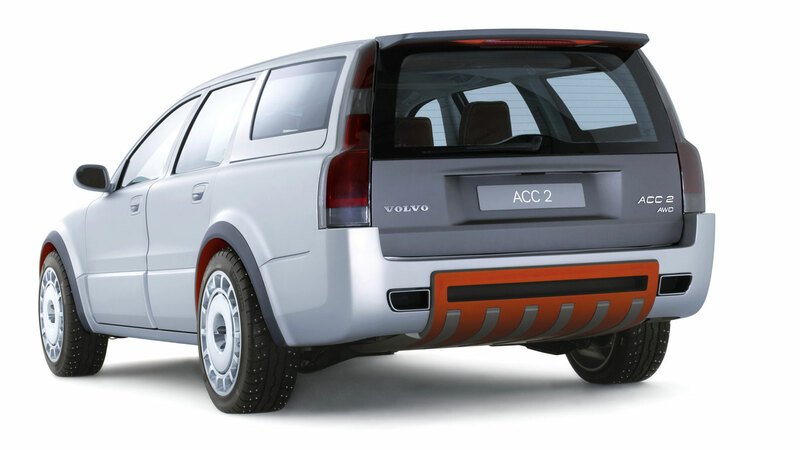 The VCC – or Volvo Concept Car – was built to test concepts in the fields of energy and consumption and was equipped with monitors in place of a traditional dashboard. The VCC was a test bed for the 760, which would arrive in saloon form just two years later. 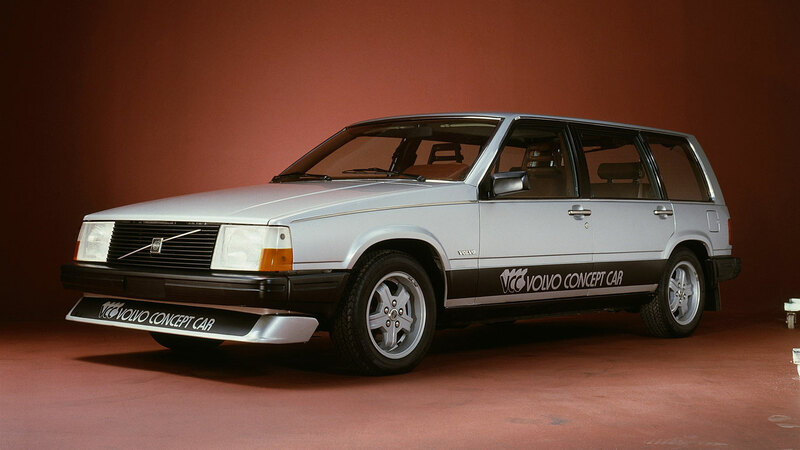 The Volvo 260 of 1983 was the result of little more than a badge-changing strategy, with the 265 becoming the 260. 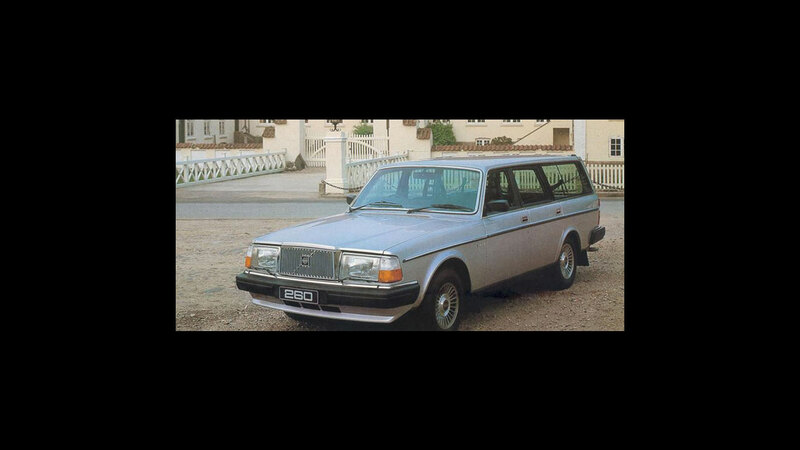 The Volvo 264 was replaced by the 760 GLE in 1982, but with the estate version still three years off, the five-door 260 estate remained in production until 1985. If the Volvo LCP 2000 had the whiff of fish and chips, this was no coincidence. 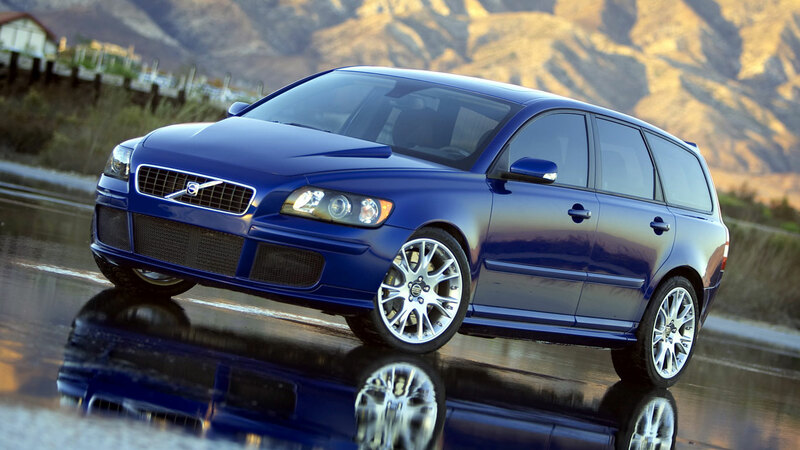 The LCP – or Light Component Project – was Volvo’s vision of a lightweight and fuel-efficient car of the new millennium. It was fitted with a choice of engines, including a 1.4-litre unit that could run on rapeseed oil – hence the smell of Britain’s favourite takeaway. 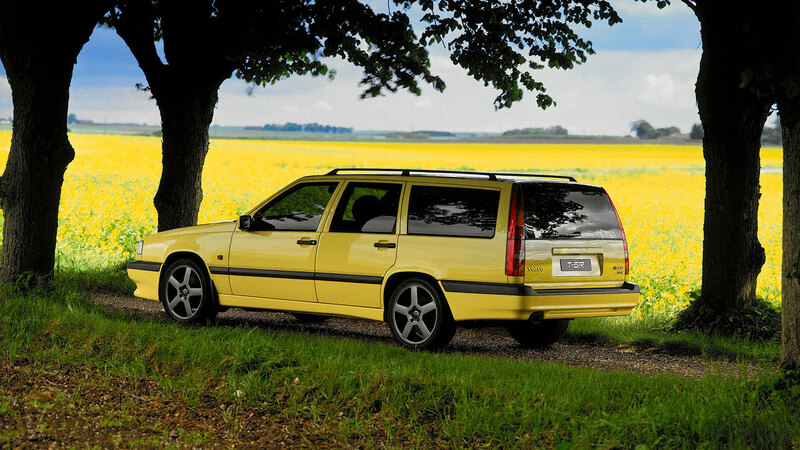 The Volvo 760 GLE was powered by a 2.8-litre ‘Douvrin’ engine it shared with Renault and Peugeot, but customers were given the option of four-cylinder turbocharged and six-cylinder diesel units. Unlike Volvos of old, the 4 and 6 in 740 and 760 no longer referred to four- or six-cylinder versions. Instead, the ‘6’ was the more luxurious of the two. 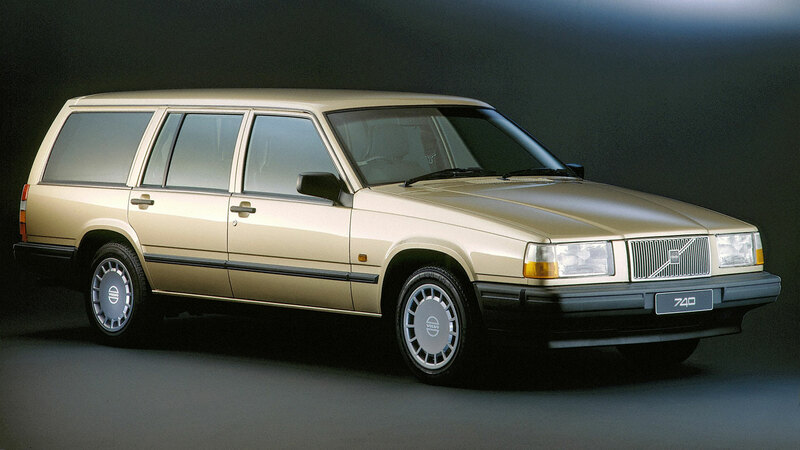 The 940 was introduced in 1990 and was – along with the S90/V90 – the last rear-wheel-drive Volvo to be built. The 960 was the more upmarket of the 900 range and was offered with a new aluminium 24-valve six-cylinder engine. 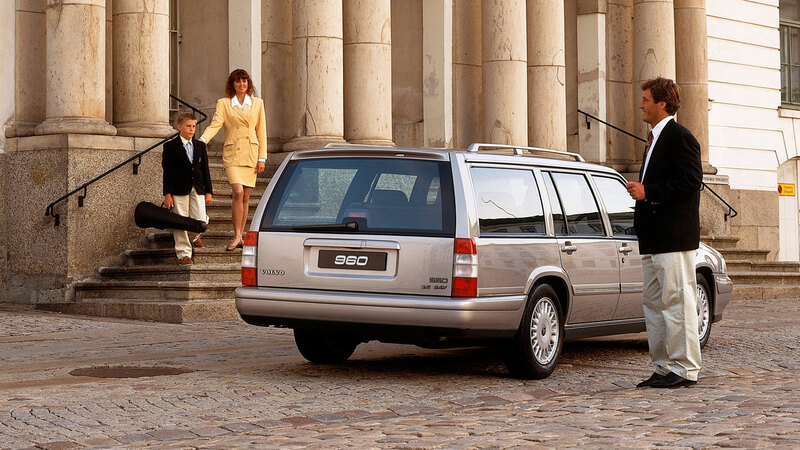 The 850 estate was unveiled in February 1993, two years after the launch of the 850 saloon. This was a significant car for Volvo, not least because it heralded the dawn of a new front-wheel-drive future for the brand. It was the first car in the world to offer a side-impact protection system (SIPS). 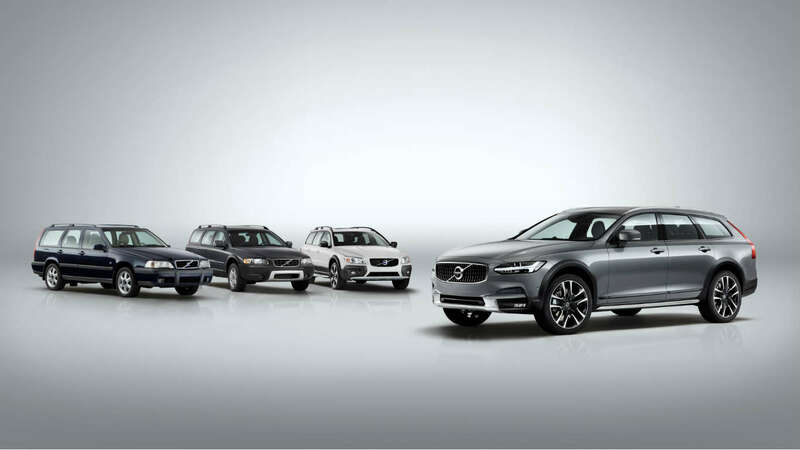 Keen to shake off its staid and dependable image, Volvo turned to Porsche for help. The Stuttgart company assisted with the engine tuning, transmission and interior of the 850 T5-R, helping it to a top speed limited to 155mph. The ultimate Q-car, assuming you didn’t tick the box marked Cream Yellow paint. This is without doubt one of the most famous racing cars of all time. 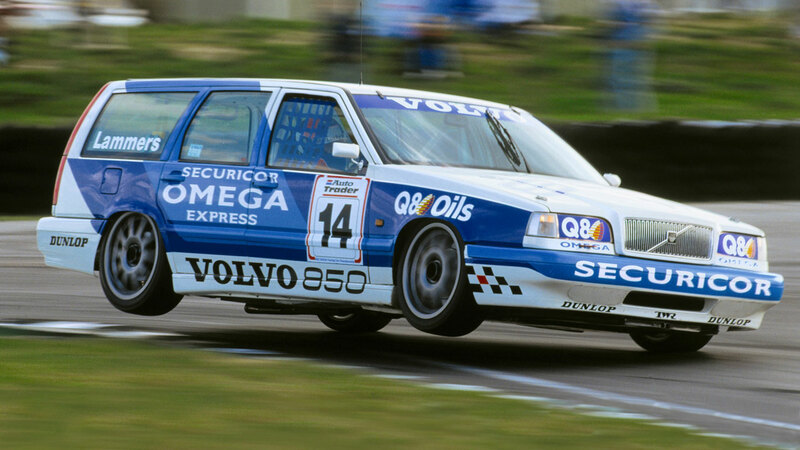 The Volvo 850 BTCC car was the first factory-entered racing estate car and it made its debut at Thruxton in April 1994. 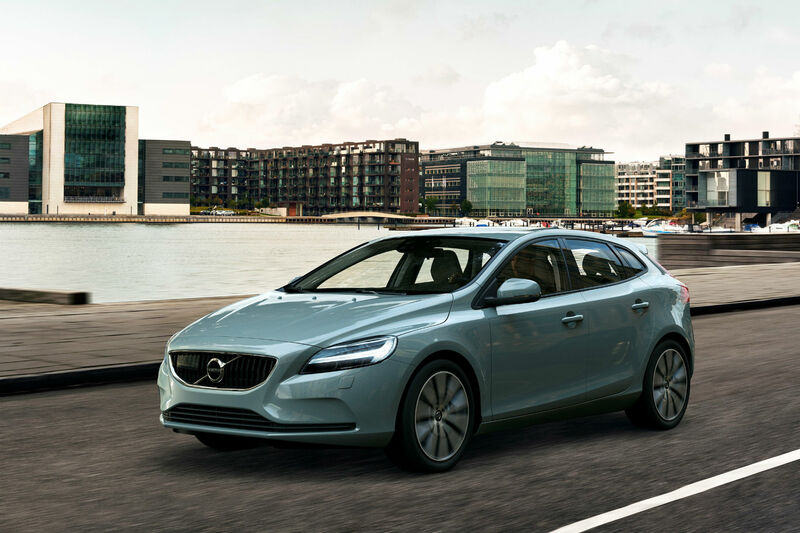 The V40 – mechanically identical to the S40 – arrived in 1995. Not to be confused with the current Volvo V40, this was a compact estate car built at the Nedcar factory in the Netherlands. 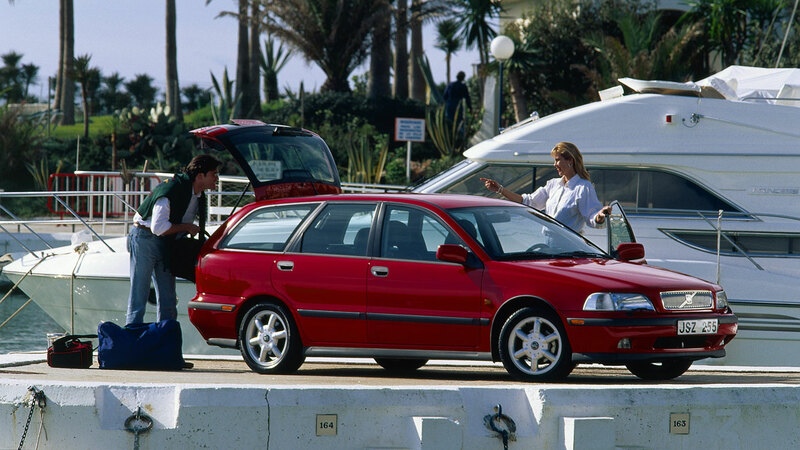 The S40/V40 was actually based on the same platform as the Mitsubishi Carisma, meaning it is also related to the Proton Impian. 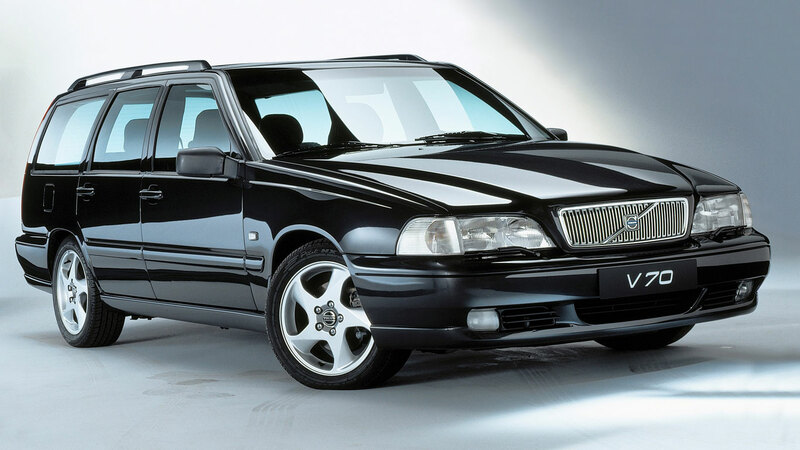 When it was launched in 1996, the 246hp 850R was the fastest and most powerful Volvo ever produced. Unlike the 850 T5-R, the 850R was not a limited-edition model and it is thought that between 5,000 and 7,000 were actually built. A future classic in the making. 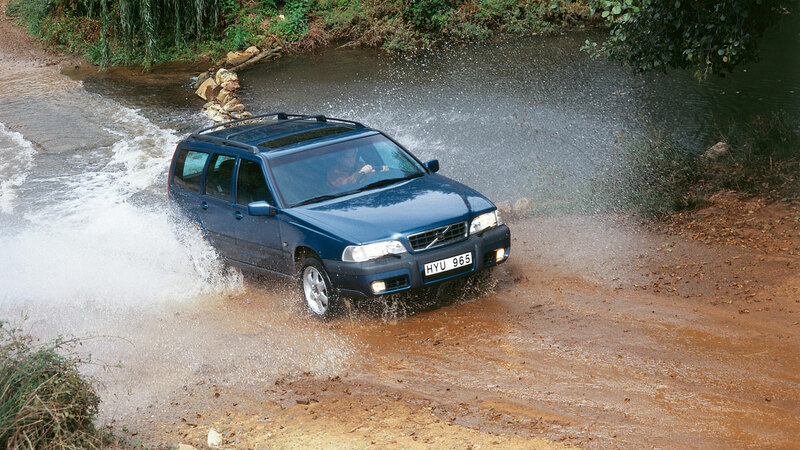 In 1997, Volvo introduced the X70 XC, which would later become the XC70. 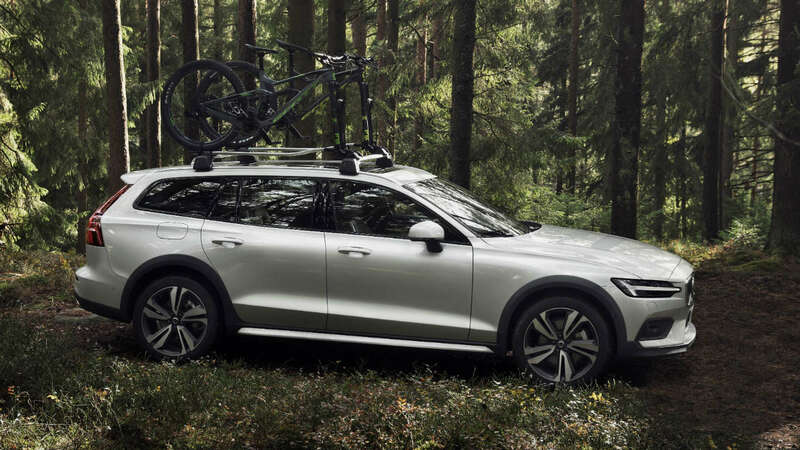 Alongside Audi and its Allroad model, Volvo pioneered the premium 4×4 estate car segment, combining the on-road dynamics of an estate with the off-road capabilities of an SUV. 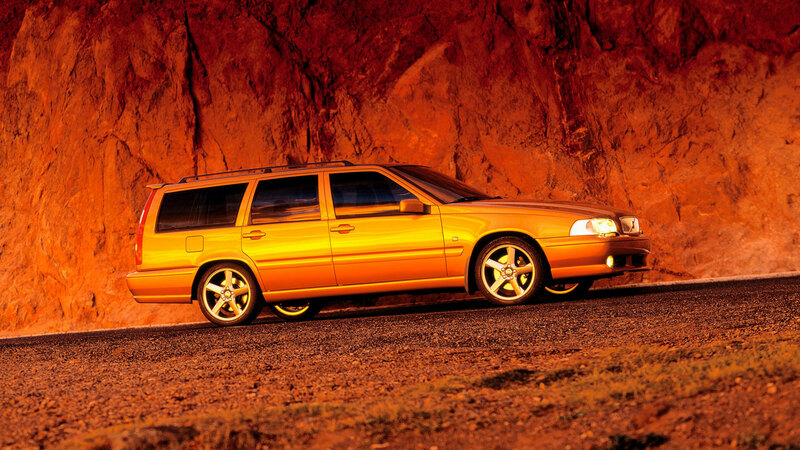 The V70 XC was developed off the back of the all-wheel-drive Volvo V70R. Up to 300hp was available, depending on the model year, with AWD tech successfully managing to harness the potential of that glorious five-cylinder engine. 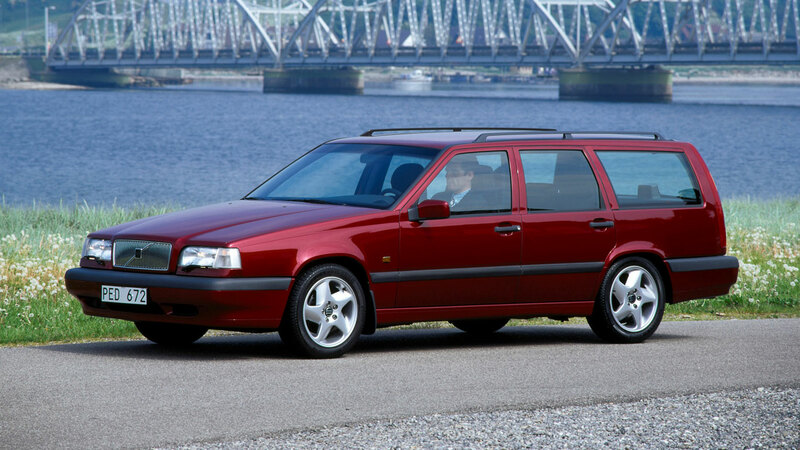 The 90s was a golden decade for fast Volvo wagons. Although it featured some new interior and exterior colours, the original V90 of 1997 was little more than a badge-engineering exercise, designed to bring the 960 in line with the new model-name strategy. 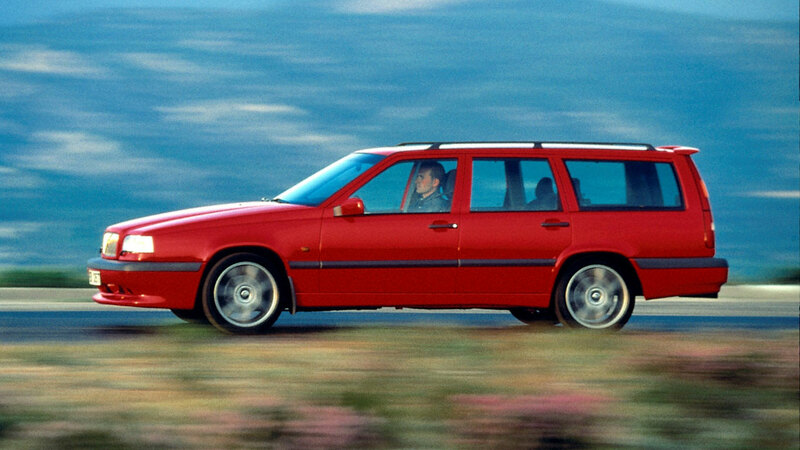 Just over 9,000 of these six-cylinder estate cars were built between 1997 and 1998. 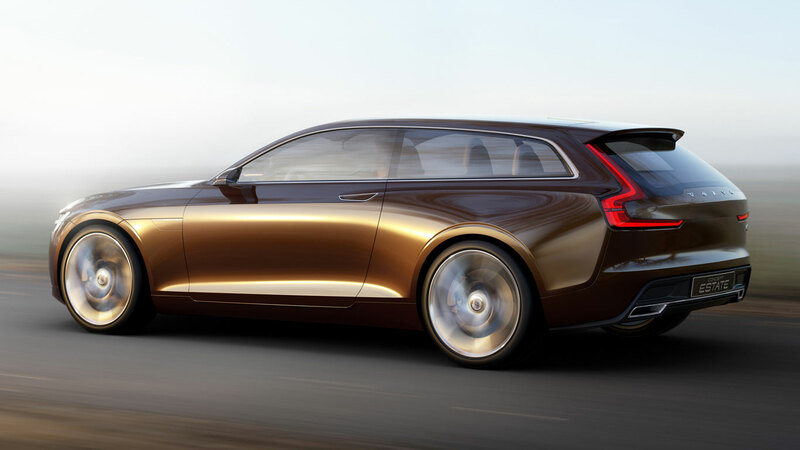 Could this be the best looking Volvo estate car never built? The PCC2 – or Performance Concept Car 2 – was introduced at the 2001 Frankfurt Motor Show and featured a 300hp five-cylinder engine and a trick suspension system. 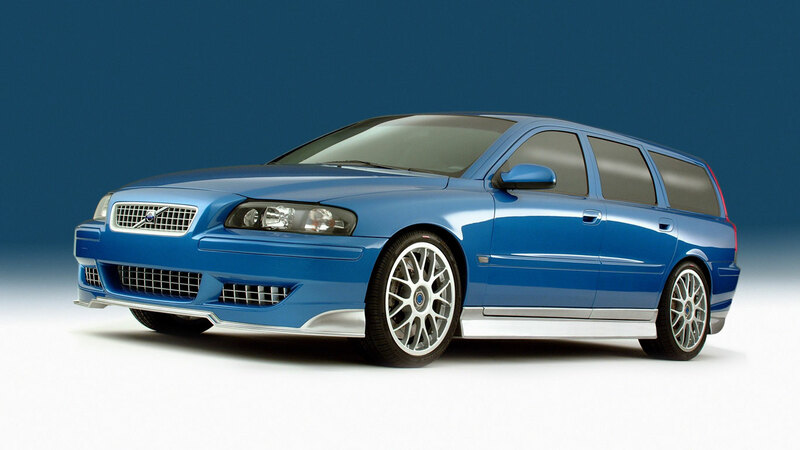 The V70-based concept was finished in Laser Blue. Another year, another concept car. 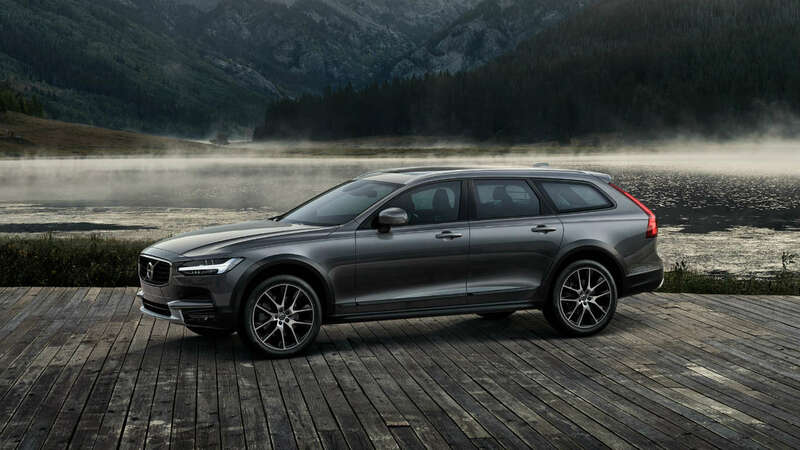 According to Volvo, the Adventure Concept Car 2 (ACC 2) provided a “glimpse into the future of extreme winter transportation” and featured studded tyres and GPS-controlled headlights, which would automatically adjust for left- or right-hand-drive traffic conditions. The interior was said to be inspired by the Swedish Ice Hotel and the Swiss Army Knife. 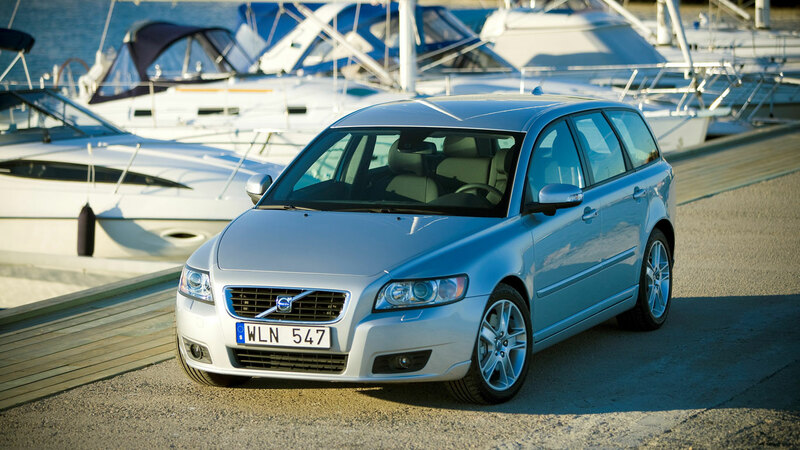 The V50 was the replacement for the V40 and it shared its platform with the Ford Focus and the Mazda 3. 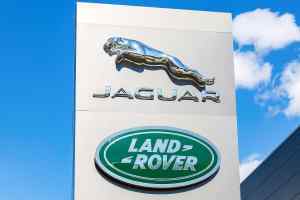 Highlights included the availability of all-wheel drive and a five-cylinder 2.5-litre engine. It also featured Volvo’s signature ‘floating console’ centre stack. 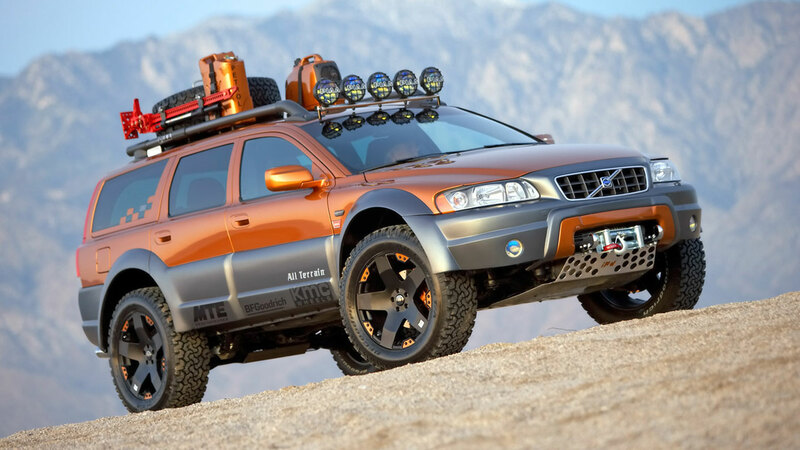 This was the first Volvo to be built by the firm’s Special Vehicle department in Gothenburg and it made its debut at the 2004 SEMA trade show in Las Vegas. It was designed to appeal to a younger audience, with its 2.5-litre engine developing an eye-watering 340hp. Other tweaks included a 12mm lower ride height, AP Racing brakes and race-bred Pirelli tyres. A year later, Volvo unveiled the XC70 AT Concept. It featured a 408hp 2.5-litre engine, a six-speed automatic transmission and – as is probably obvious from the photo – all-wheel drive. 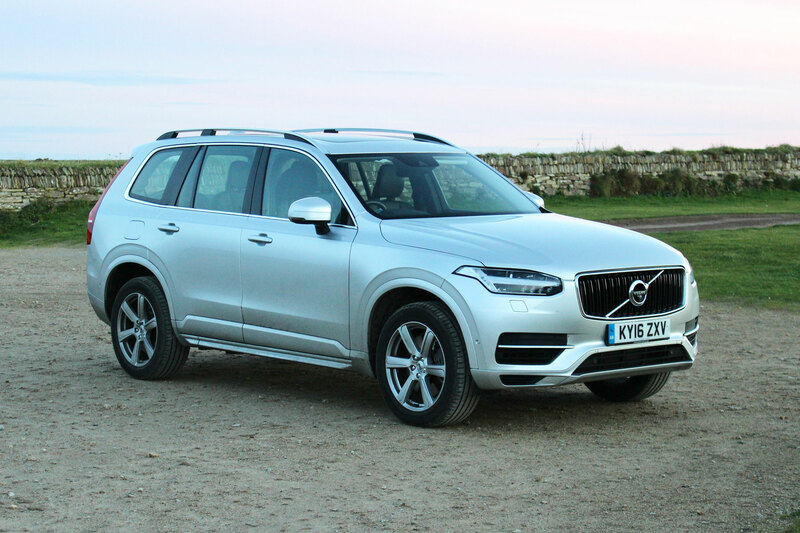 The air suspension could see the ride height increased by as much as eight inches compared with the standard XC70. 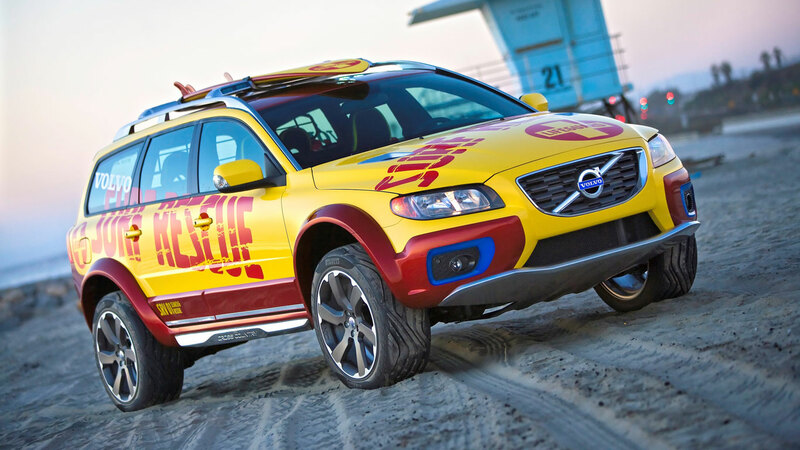 Inspired by the surf vehicles of the Californian coast, the XC70 Surf Rescue Concept was another SEMA show special. With its 20-inch wheels and 3.2-litre six-cylinder engine, this thing was perfect for would-be Pamela Andersons across the world. 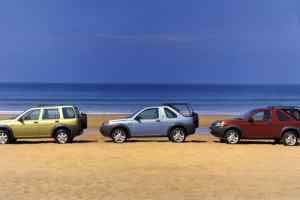 A neat idea, but if Volvo ruled the world, we doubt anyone would ever find themselves in danger on the beach. 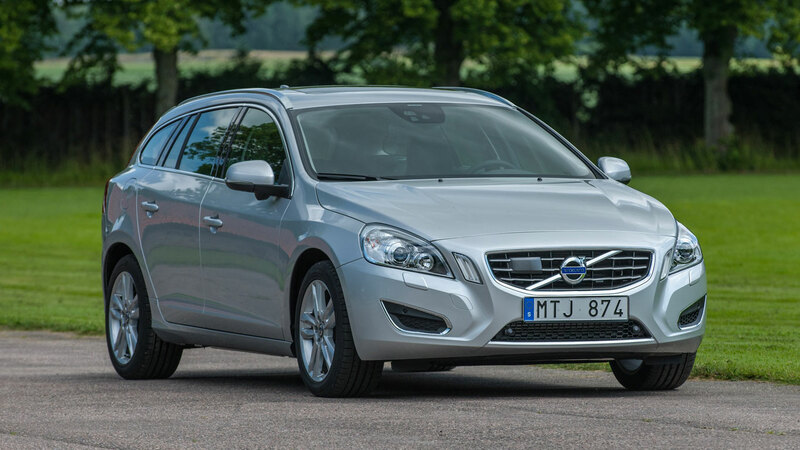 In many ways, the V60 flied in the face of Volvo’s estate car heritage, majoring on style and performance, as opposed to outright practicality. 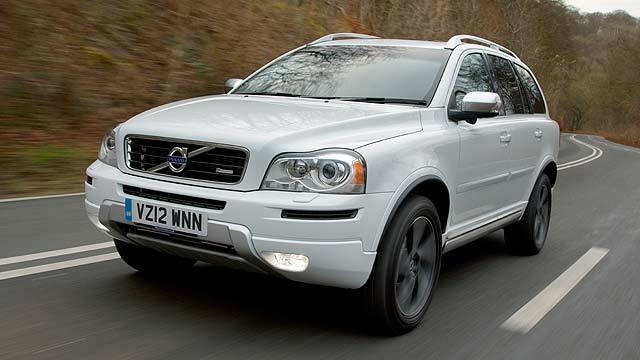 That said, with the V70, XC60 and XC90 in the range, you’d forgive Volvo for introducing what was essentially an alternative to a large hatchback. This was the world’s first diesel plug-in hybrid, combining 48g/km of CO2 with a claimed 155.2mpg. The combination of a 215hp five-cylinder diesel engine and a 70hp electric motor earned it the right to wear a D6 badge. This was Volvo at its bonkers best. 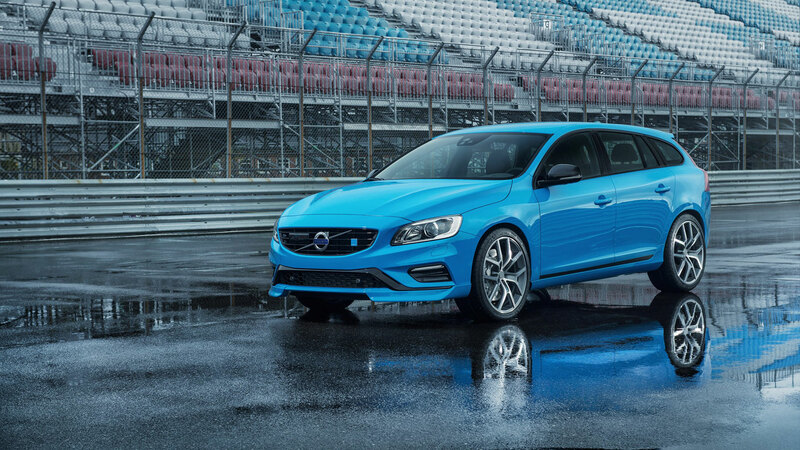 The V60 Polestar felt like an old-school performance wagon, lost in a new era for Volvo. 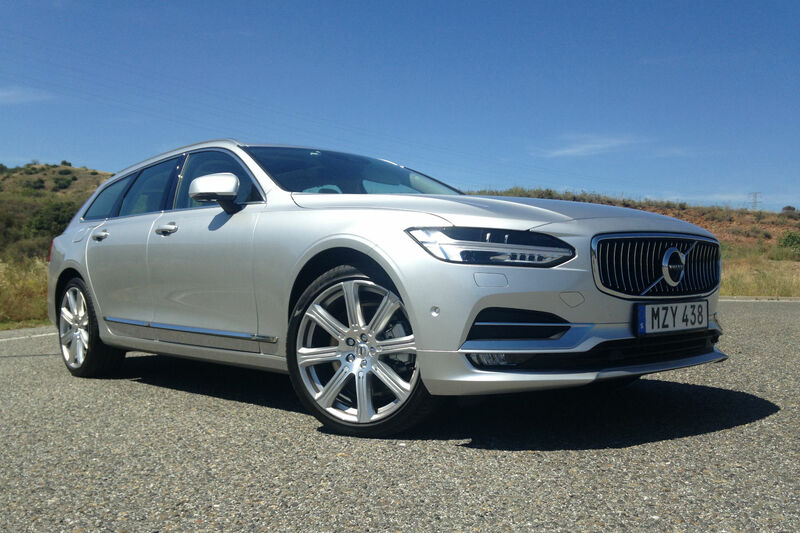 But don’t let that put you off, because the combination of a 3.0-litre straight six engine and all-wheel drive made it one of the best all-weather wagons on the market. Before it launched the all-new XC90, Volvo teased us with three glorious concepts. In our humble opinion, the Concept Estate was the best of the trio. A shooting brake finished in brown and blessed with a delightful interior – what’s not to like? Aside from the fact it was only a concept. We didn’t see this one coming. 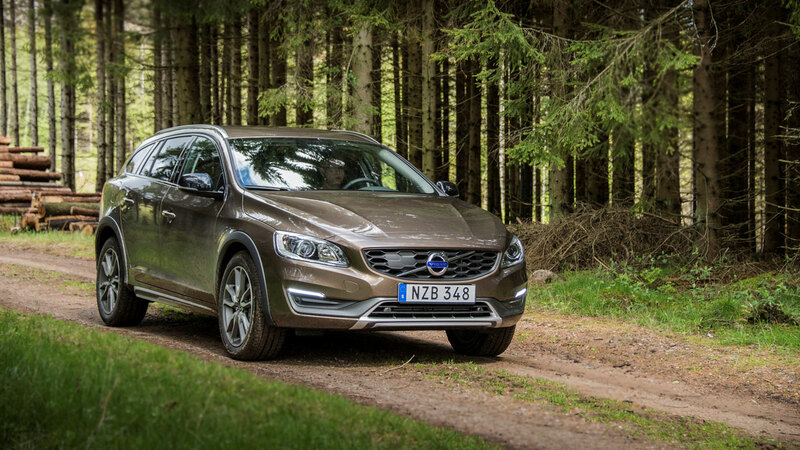 In 2015, Volvo launched the V60 Cross Country – a soft-road version of the larger XC70. It was available in both front- and four-wheel-drive guises, but either way it offered a ride height increased by 65mm. 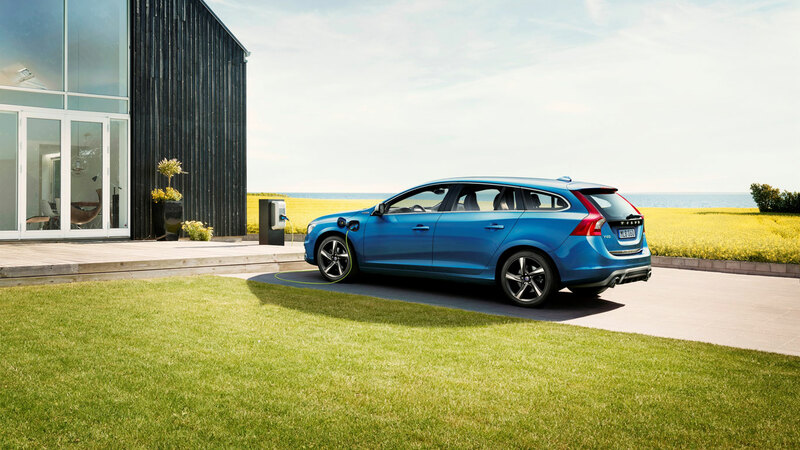 Volvo might be doing a fine job of making some of the world’s best SUVs, but it’s reassuring to know that it hasn’t given up on the estate car. “In many people’s minds we are known as the definitive estate brand. 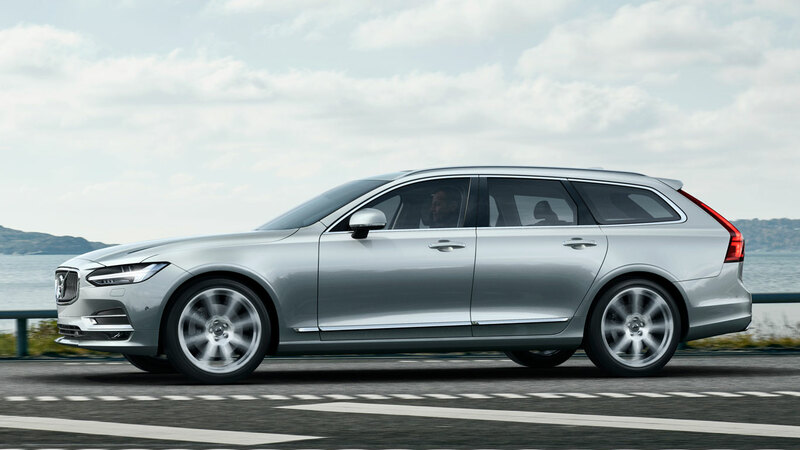 While the Volvo brand today stands for more than estates, we are proud to carry forward this rich heritage with the V90,” said Hakan Samuelsson, Volvo’s president and chief executive. 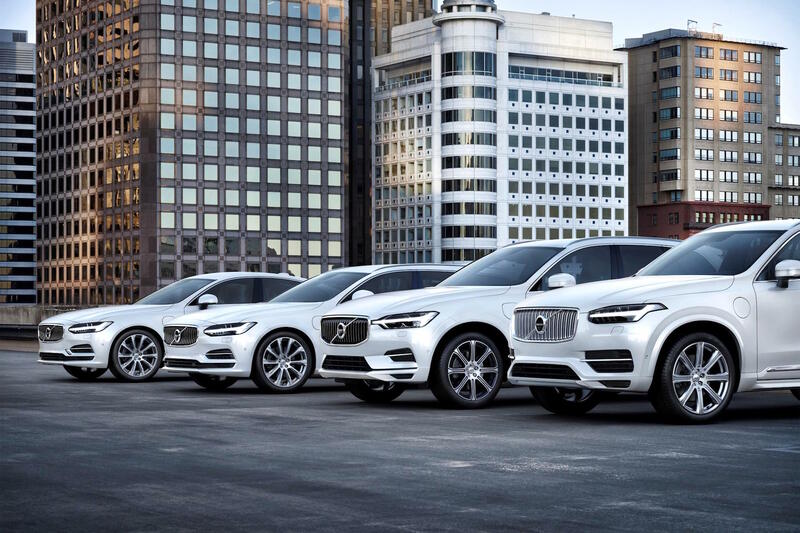 Volvo won’t stop until it has built the most attractive cars within each segment. 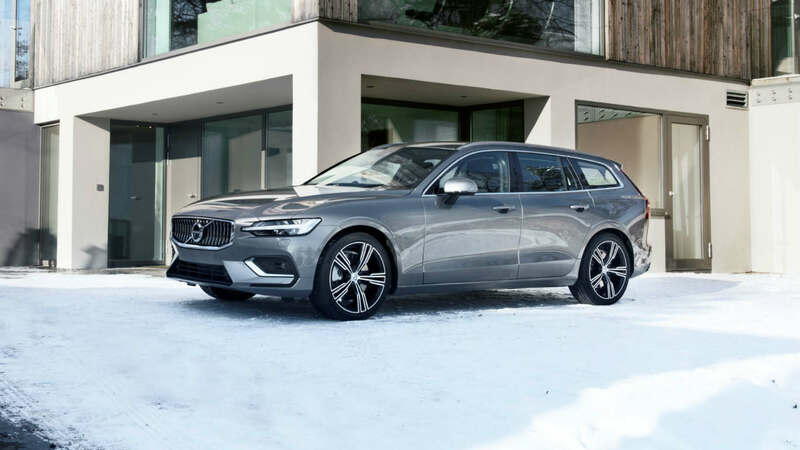 The V60, which goes into battle against the BMW 3 Series, Mercedes-Benz C-Class and Audi A4, combines all that is great about the V90, but in a smaller, well-proportioned package. In true Volvo tradition, it features a huge boot, offering 539 litres of luggage space with the rear seats in their upright position. 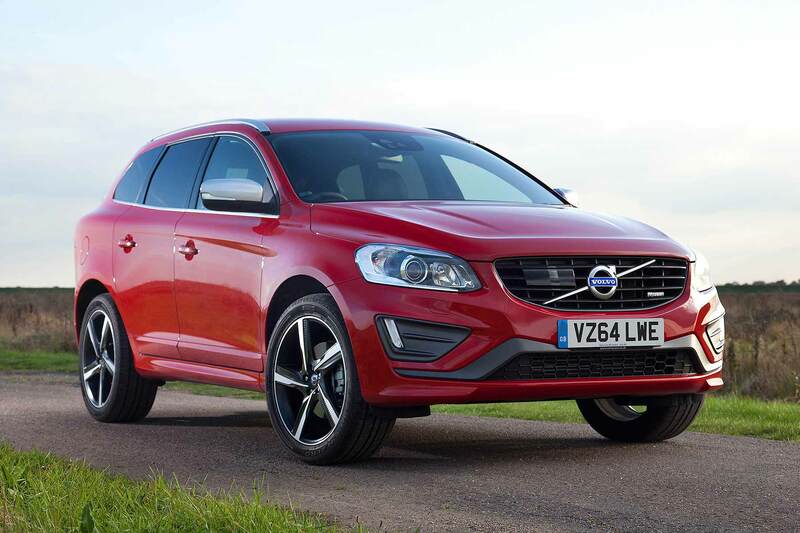 The V60 Cross Country sits 75mm higher than the standard wagon and features all-wheel-drive, hill descent control, corner traction control and an off-road driving mode as standard. 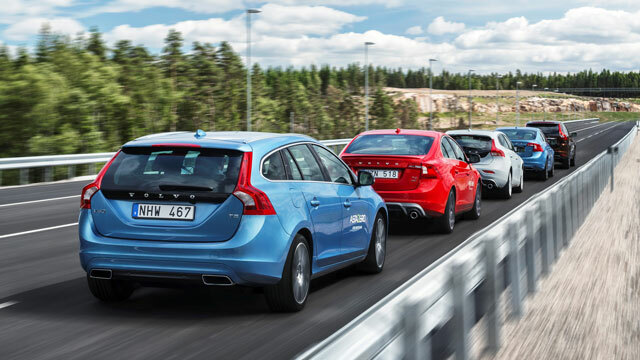 According to Volvo, it takes the V60 from the suburb to the skogen (Swedish for forest).